Dark Horse Comics will publish Hellboy: The Art of the Motion Picture, a gorgeously designed hardcover book that showcases concept art and set photography to offer a behind-the-scenes look at one of the most highly anticipated films of 2019. The book offers an inside look at the creation of the film with nearly one thousand pieces of art and photography in 200 full-color pages. Hellboy: The Art of the Motion Picturewill be published on April 9, 2019, ahead of the release of the Neil Marshall’s Hellboy film starring David Harbour, Sasha Lane, Ian McShane, Penelope Mitchell, Daniel Dae Kim and Milla Jovovich. 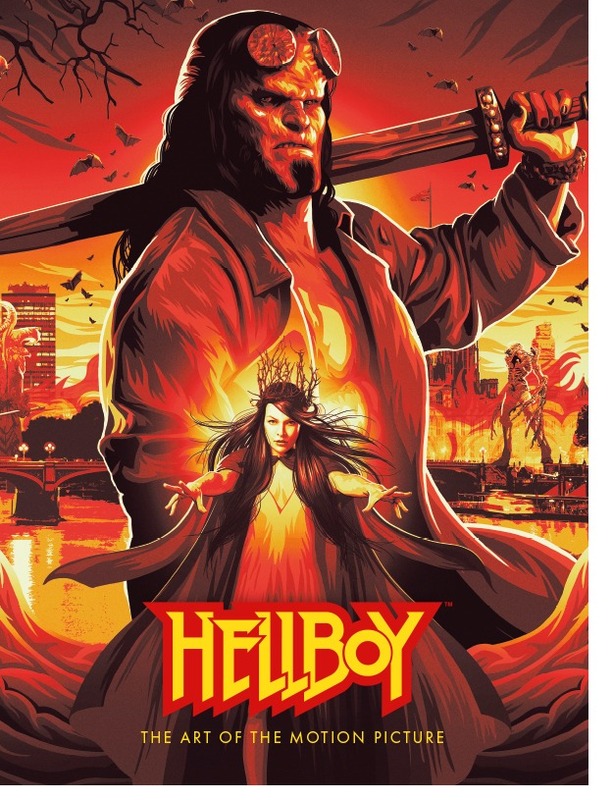 Based on the acclaimed Hellboycomic books and graphic novels created by Mike Mignola, Lionsgate’s Summit Entertainment label will releaseHellboy nationwide on April 12, 2019. For nearly 25 years, Mignola and a host of celebrated writers and artists have chronicled the adventures of Hellboyfacing his supposed destiny as Beast of the Apocalypse, and explored the mysterious backstories of B.P.R.D. agents including Professor Trevor Bruttenholm and Abe Sapien. Recently, for the first time ever, Dark Horse Books published Mignola’s award-winning Hellboy stories in chronological order with the HELLBOY OMNIBUS COLLECTION, creating the definitive reading experience for Hellboy fans and an ideal entry point for new readers. Dark Horse Books also has published a specially priced edition of the graphic novel, Hellboy: The Wild Hunt, which serves as the source material for the upcoming motion picture. Hellboy: The Art of the Motion Picture is on sale for $39.99 and is available for pre-order on Amazon and your local comic shop. For more information about Hellboy: The Art of the Motion Picture, the Mignolaverse comic books and graphic novels, follow the company on Twitter, Facebook and Instagram.